Sandra Ingerman offers a practical and inspired guide for creating ceremonies infused with meaning, joy, and sacred light. Here she shares essential instruction for ceremonies that invoke the power of your intention, the support of family and community, and the aid of the spirit world. Features guidance for adapting traditional wisdom to create ceremonies for modern practitioners—including rites of passage, sacred marriages, connecting with ancestors, creating Prayer Trees, and many more. We perform ceremonies to mark important events and celebrate holidays—yet our modern approach to ceremony only scratches the surface of its true potential. 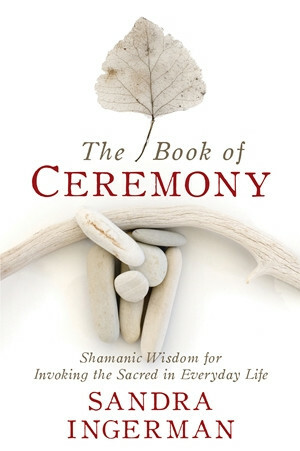 With The Book of Ceremony, shamanic teacher Sandra Ingerman presents a rich and practical resource for creating ceremonies filled with joy, purpose, and magic. "We are hungry to connect with more than what we experience with our ordinary senses in the material world," writes Sandra. "By performing ceremonies, you will find yourself stepping into a beautiful and creative power you might never have imagined." The Book of Ceremony is more than a "how-to" guide—it will inspire you to create original ceremonies tailored to your own needs and the needs of your community. When you invoke the sacred power of ceremony, you tap into one of the oldest and most effective tools for transforming both yourself and the world. As Sandra writes, "If you perform one powerful and successful ceremony for yourself, the principle of oneness ensures that all of life heals and evolves."